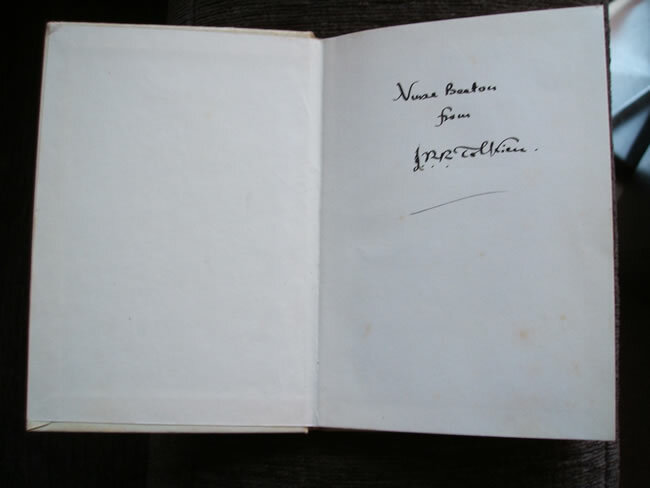 Inscribed in black ink to the fly leaf "Nurse Beaton from J.R.R. Tolkien". 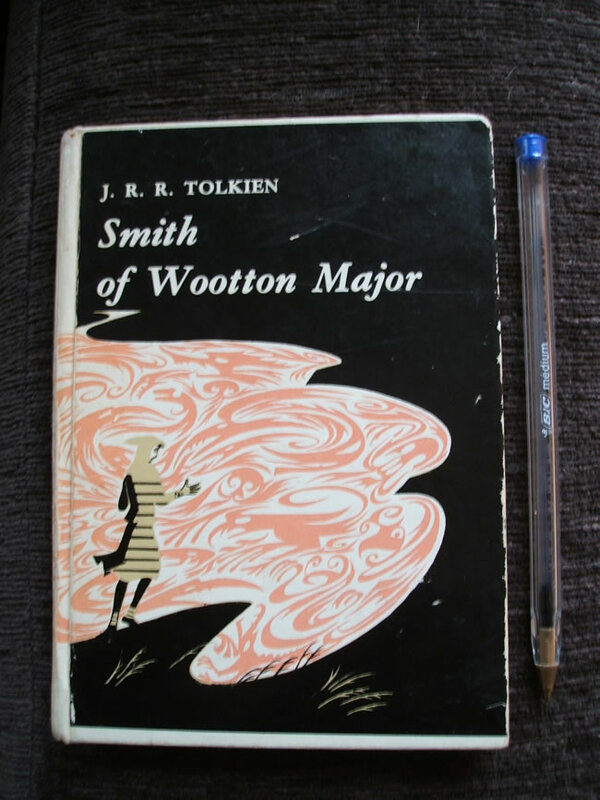 Smith of Wootton Major signed by the author J.R.R. 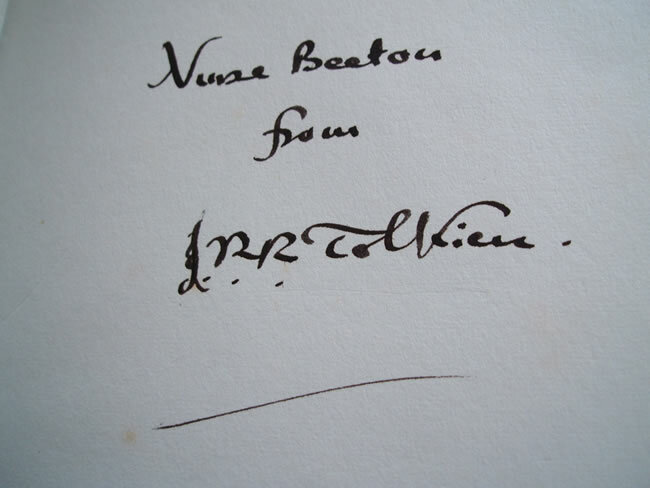 Tolkien - dedicated to Nurse Beaton. 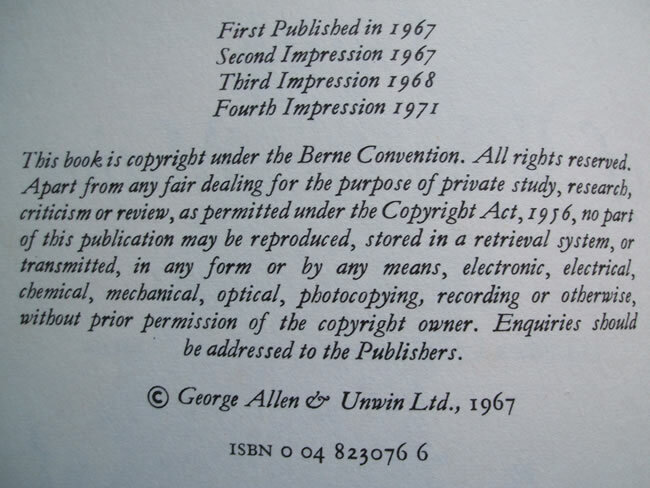 1971, George Allen & Unwin Ltd., London, first UK edition, 4th impression. 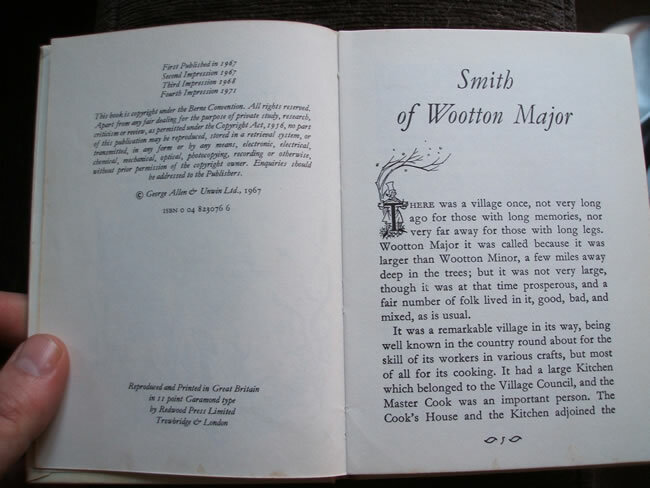 No dustjacket as issued. 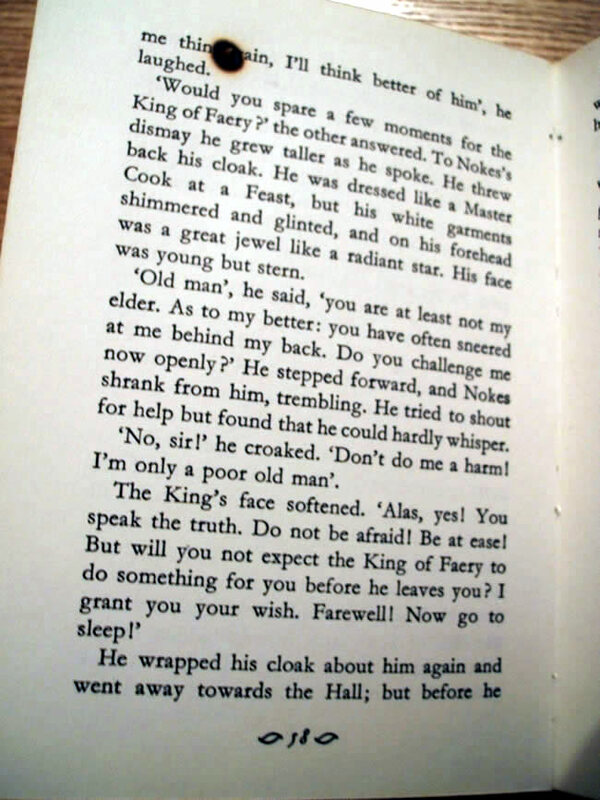 Spine faded, ends slightly bumped and edges slightly rubbed. Some marks on the front and back cover and rubbing around the edges, so that the white shows through the black paint. 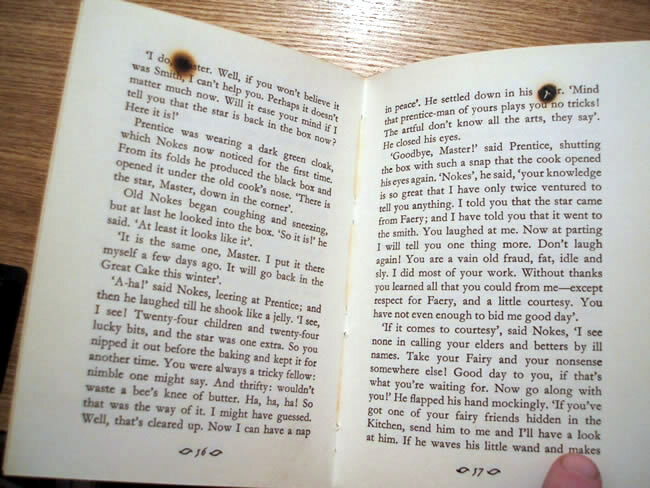 Text block clean with some wrinkles to the pages and some dampening to the bottom of the pages. 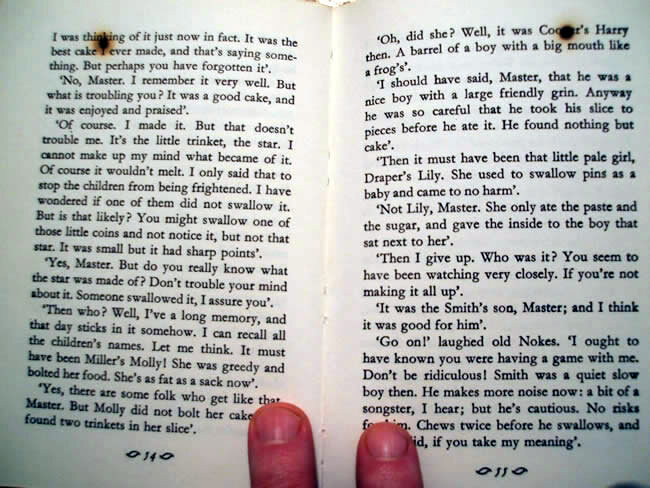 Burn mark on pages 54 to 58. 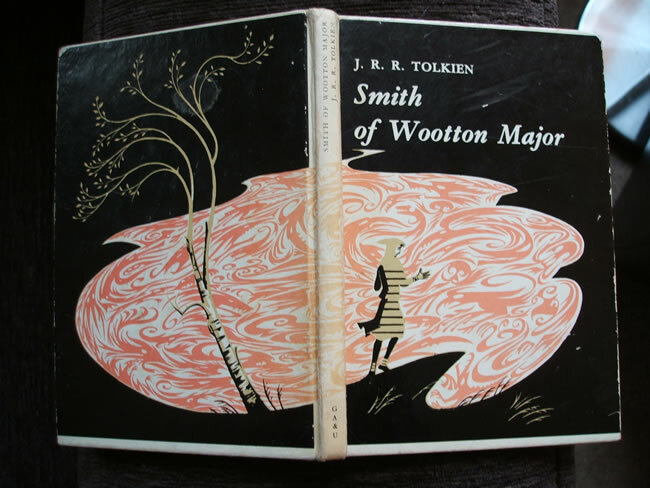 The UK first edition was 1967, this is fourth printing 1971. 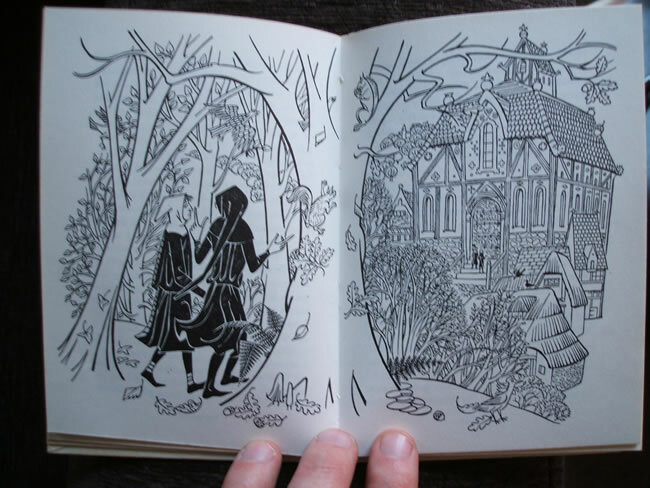 Includes numerous b/w illustrations & 3-color cover by 'Narnia' artist Pauline Baynes. 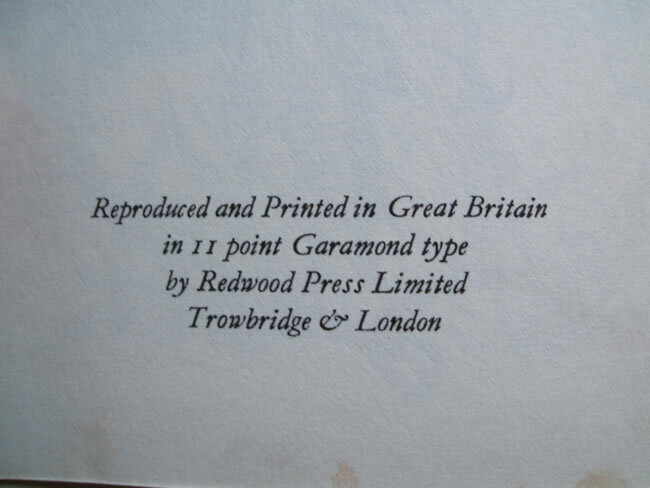 Modern first edition. An exceptional fine autograph by J.R.R. 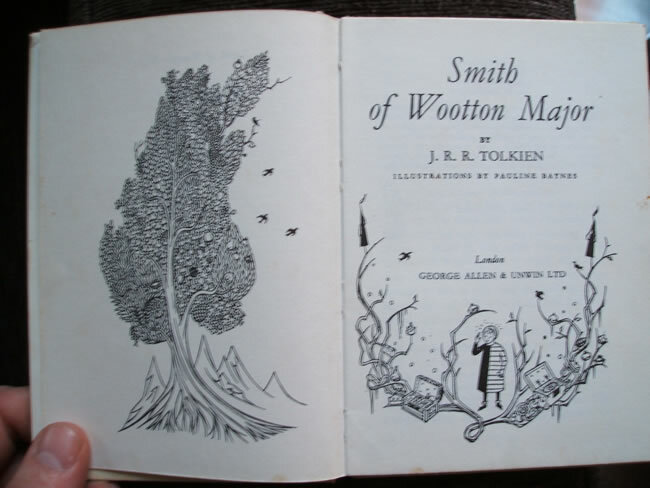 Tolkien in a used copy of Smith of Wootton Major.